Hiring a professional is the quickest route to professional results. A licensed technician will be able to diagnose any potential issues throughout the season and make the exact recommendations to ensure that the lawn is being treated in the proper fashion. For starters, the actual savings of the DIY approach may not be quite what you are expecting. To buy the correct amount of product to treat your property for the full year from a home or garden center will usually end up being close to or equal the cost of a yearly plan. Cutting corners to save costs will inevitably lead to poor results. Lawn Care companies are able to purchase their products in bulk, leading to lower costs and a comparably priced program for their customers. Green Head Turf Systems is purchasing and applying the proper products for your lawn. Not all fertilizers and weed controls are the same, and the products will change as the season progresses. Green Head Turf Systems uses their custom tailored 6 step application system to ensure products are applied correctly and thus company eliminates the risk of applying a product incorrectly, leading to damage to the lawn or ineffectiveness of the application. Caring for the lawn is unfortunately not an exact science. There are external conditions that are often times beyond your control that may have adverse effects on the lawn. For example, a neighbor that does not care for their lawn may have dandelions that spread over to your lawn on a daily basis. A lawn care program will in most cases include free service calls to address any issues that occur throughout the season, versus the DIY treater possibly needing to treat far more frequently than they had initially anticipated. Even smaller properties can be time-consuming to treat properly. When factoring in the time spent purchasing the products, treating yourself can usually take up several hours a month, if not more. While some aspects of Lawn Care may be found by some to be enjoyable, other aspects are in fact quite difficult and labor intensive. For example, Aeration and Seeding for the lawn requires a large machine that is very difficult to use properly. Even the standard fertilization and weed control applications require proper mixing and application which can be quite difficult for the DIY minded property owner. Putting the products down at the right time and sticking to a schedule is an extremely crucial aspect of lawn care. Hiring a Lawn Care company eliminates the risk of missing an application or even worse, putting too much product on the lawn in too narrow of a time frame. 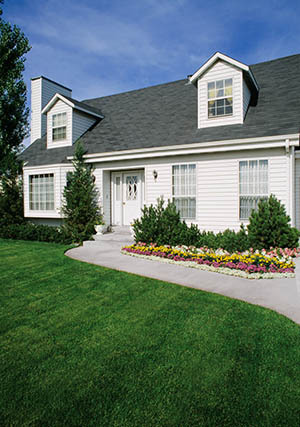 Most lawn care products are purchased by the square footage, with the increments available often 5,000 or 10,000 sq. ft. apart. Hiring a lawn care company removes the chance of not purchasing enough product, or buying too much and having to store the product yourself. If you’re looking for a great lawn care company, make sure Green Head Turf Systems is on your list. Call us at (913) 645-9586 and ask us all of these same questions before you choose anyone.